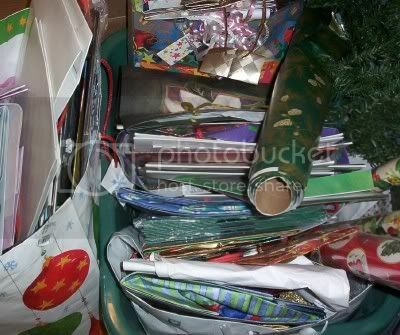 Just how many recycled gift bags must a thrifty person keep on hand? We reuse our own, plus we receive perhaps a dozen or more new bags each year. Today's bags are so sturdy and beautiful, it's a shame to throw them away. At least until the stack topples over and buries me under its weight, that is. How many bags do you use? That's how many you should keep. Give the rest away. Maybe to Goodwill? You can pass gift bags on to Goodwill and such. We have limited space to keep too many excess gift bags on hand, so that's what I finally did with all the really obvious baby and wedding ones from my showers. I kept the more generic ones and the bows. I decided this is one area in which the possibility of eventually having to buy a bag at Family Dollar is okay when it means more closet space.